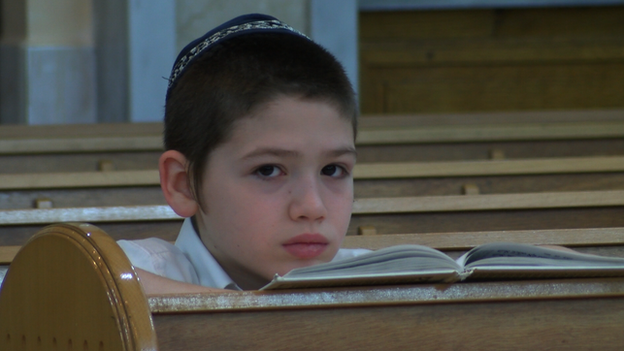 6 Stories from the 7 Continents: Jews (among other minorities) at risk in the Ukraine? Jews (among other minorities) at risk in the Ukraine? Among the several outrages of Russian President Putin's stance and actions on Russia's Western borders, is the opening it has allowed for extremists to re-emerge. As one young woman remarked after a stay in Eastern France five years ago, "In the U.S., Hitler may have been relegated to the rubbish bin, but in Europe, he continues to loom large ..."
As Putin out-bluffs and out-maneuvers Western European nations and the US (earlier in Georgia, in Syria, and now in the Ukraine) expanding his de-facto Mother Russia borders, anti-semitic flyers have emerged in the Eastern Ukrainian city of Donetsk. 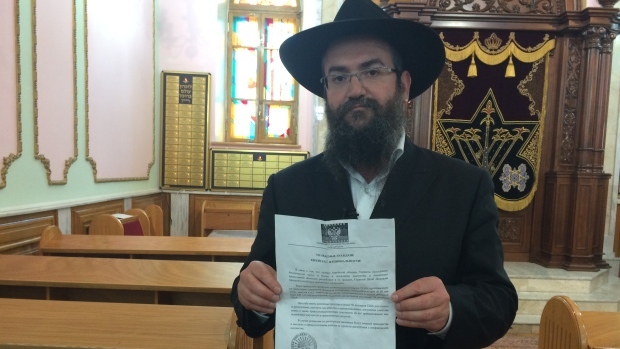 As reported in the Guardian newspaper, masked men were confronting people at Donetsk's only remaining synagogue last Wednesday, distributing the notices. "The flyer asks all Jewish citizens aged 16 and older to register with the "Donetsk Republic commissar for nationality affairs" and pay a $50 fee, "given that the leaders of the Jewish community of Ukraine support the Banderite junta in Kiev and are hostile to the Orthodox Donetsk Republic and its citizens. Those who refuse to register will be deprived of citizenship and forcibly expelled from the republic and their property will be confiscated." The masked men apparently left quickly when confronted, but news of the incident quickly spread worldwide with reactions from anger to grief. Within another few hours, the new pro-Russian militants holding court over the city denied their involvement, saying it was an effort to discredit their position. All of which may be true. Hitler, neo-Nazis, fascism and communism still deeply divide this Slavic nation. While the West saw most of Ukraine's population supporting a pro-European stance, disgusted with previous president Yanukovych's self-enrichment and personal political agenda, there was nonetheless more than a fringe presence of a variety of ultra-nationalists involved the removal of the pro-Russian leader. As a recent Washington Post article observed, "for Ukraine and Russia, no era or actor is more omnipresent in today’s crisis than World War II and Stepan Bandera. Born in an obscure village in 1909, Bandera in the early 20th century fought for an independent Ukraine, which at the time was carved up between Poland and the Soviet Union. Honoring what they see as his legacy as a thorn in the side of the Soviets, Ukrainian nationalists have strung up a massive poster of their hero in this city’s Independence Square, using him as a rallying cry against the new menace in Moscow. But if Bandera is idolized by some in the capital and western Ukraine, he is reviled as a fascist in much of the heavily ethnic-Russian east and south as well as in Russia itself. There, memories are still fresh of Soviet-era campaigns that sought to discredit Bandera, and his quest for a Ukrainian homeland, by playing up his ties to Germany’s Third Reich." What the flyers represent on one level, then, is an attempt to discredit one group or another with links or reminders of Nazi ideology. And as the Chief Rabbi of Donestsk puts it, ""I think it's someone trying to use the Jewish community in Donetsk as an instrument in this conflict. That's why we're upset..."
Indeed, the conflict in Ukraine has quickly turned into a geopolitical chess match - Russia dredging up its anger over the Balkan War, now 20 years old, (mainly pounding away at its mantra - don't interfere with sovereign internal affairs) and other past slights, implying there is still much to be redressed to "protect" Russian remnants throughout Eastern Europe. And lost in all this, Teatree wonders whether there is any interest or capability by either pro-Russian militants or Ukrainian authorities in Donetsk to pursue culprits who passed out anti-semitic flyers, putting the local Jewish population in the forefront as a pawn in the larger maneuverings. Most modern societies are characterized by a ceding over the responsibility of sanctioned violence, or the enforcement of law and order, to the duly authorized government (city, county, state, province, oblast, and federal levels). In exchange, the government is expected to actively pursue and end unsanctioned violence, as well as incidents of persecution directed at individuals or groups among the population. As one of the better articles Teatree has read on this Ukraine drama, Ukraine crisis: Donetsk anti-Semitic leaflets stir old fears it concludes, "As the stand-off between Russia and Ukraine deepens, so does the dangerous power vacuum that it has created. Like any conflict, it has already begun to unleash long-dormant religious and ethnic tensions. Minority groups here fear that they will be the biggest victims of this conflict between two Orthodox, Slavic nations." #1 Active, principled pursuance by the government of criminal elements, including proactive steps towards strengthening the rule of law, is the ideal. #4 Sheer incompetence and corruption keep governments from fulfilling their responsibilities. It seems Nigeria with all its oil wealth, falls into this category, apparently unable to tackle its Boko Haram insurgency. #5 Sheer inability of a central government to maintain law and order; anarchy, militias, and warlords reign instead. Afghanistan's recent history immediately after the Soviet Union withdrawal comes to mind that culminated in a new low - governance by the Taliban.